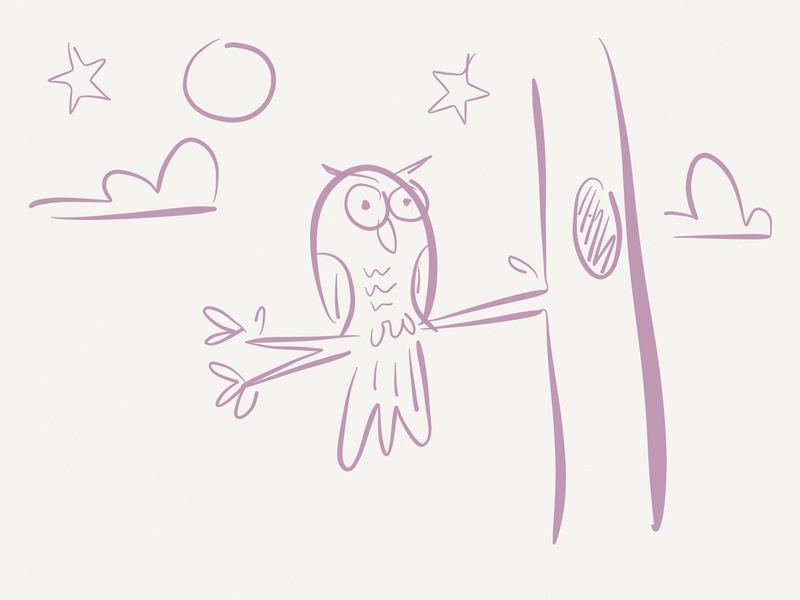 Victor perched quietly on a branch and thought under the full round moon. 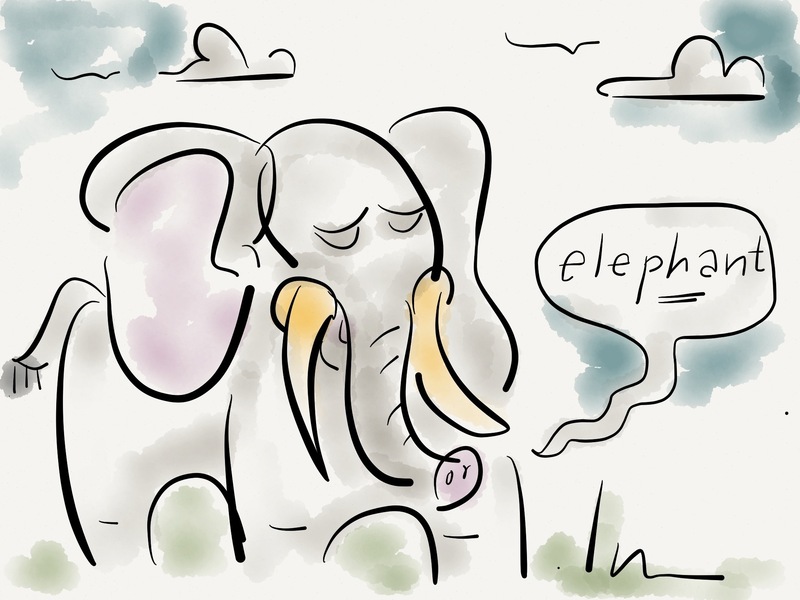 The first word spoke by every elephant is”elephant” because they are very proud of themselves. 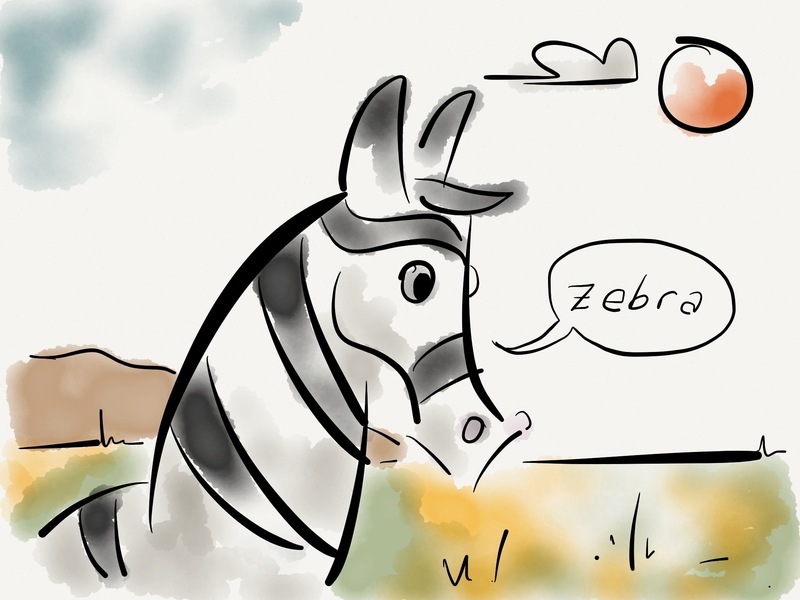 Zach the zebra lives in Africa. 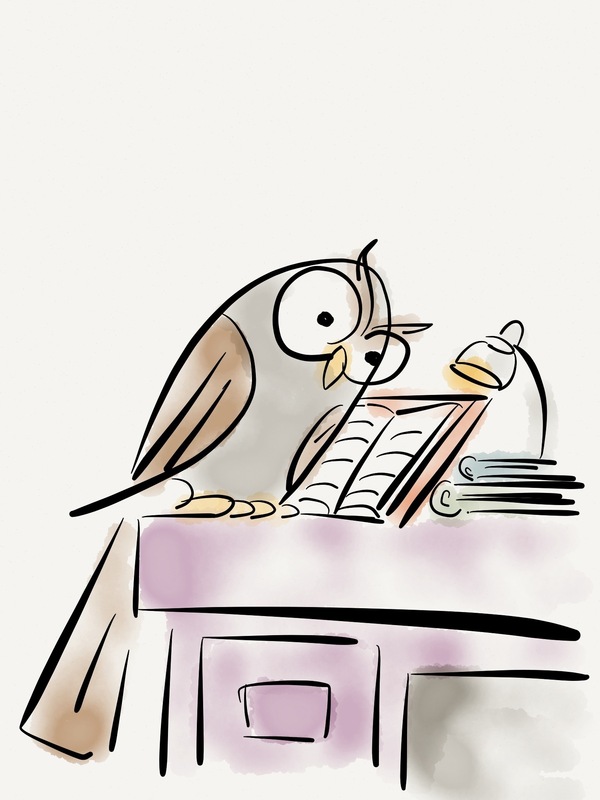 Victor reads at Lillian the librarian’s lavender desk. 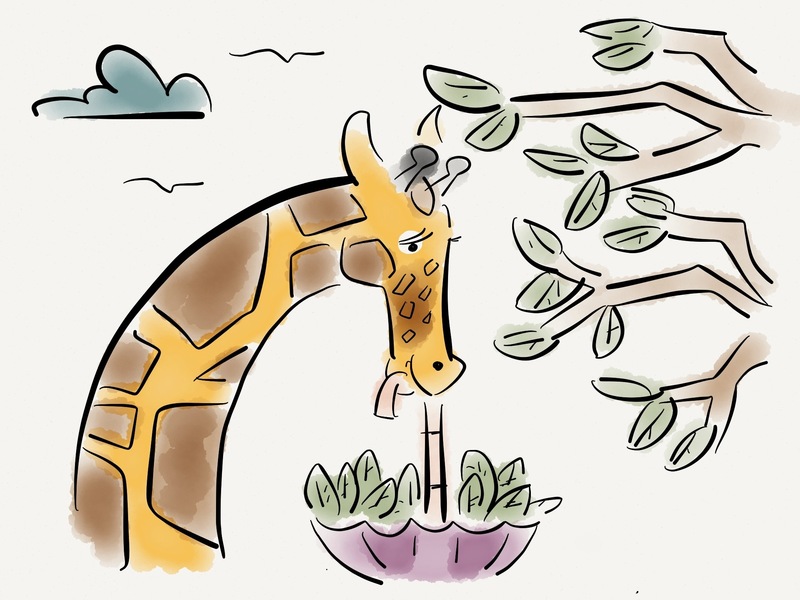 Cecilia the giraffe used the umbrella to collect leaves for the picnic. Thank you for visiting the new webpage. This is a place to tie together all of the multiple places where I’m currently posting my drawings: tumblr, twitter, and facebook. Facebook also gets my pictures without captions, but if you’re interested in seeing them show up on your wall let me know and I’d be glad to friend you!